Duo Capricci is Jérôme Brodin, harpsichord and Ida Höög, recorders. Two musicians who recognized in each other an aim for a spontaneous, emotional way of making music. The duo strives to reach across the centuries to make the affective baroque music come alive and speak to the audience. To make the french music speak, sing, sigh… To interpret the baroque music with an awereness about how the classical art of rethorics affected the composers in their work. 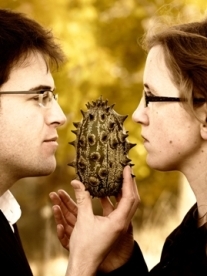 Duo Capricci was formed in 2009, when the two musicians met at the Utrecht Conservatoire. The debut was in Lidköping, Sweden, in the same year. After that, there’s been one Swedish tour per year; in the northern parts the summer of 2010 and the south-west during 2011.